We get a lot of requests for swapping pickups on guitars and basses. It is, for the most part, a quick and easy way to change the sound of your instrument without too much hassle. 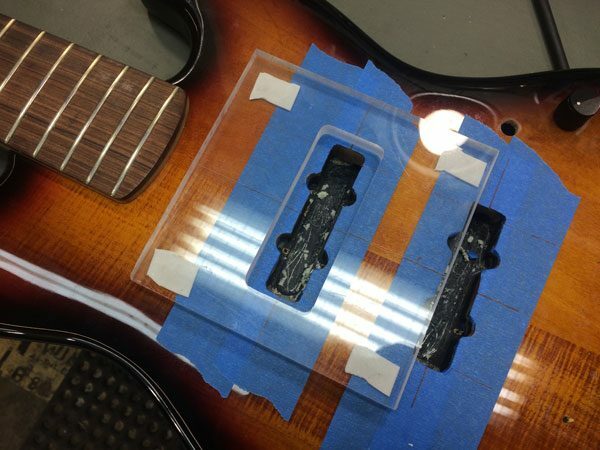 Usually all you have to do is remove the stock pickups, pop the new ones into place, solder them into the existing electrical circuit and away you go – that is if they already fit into the instrument. 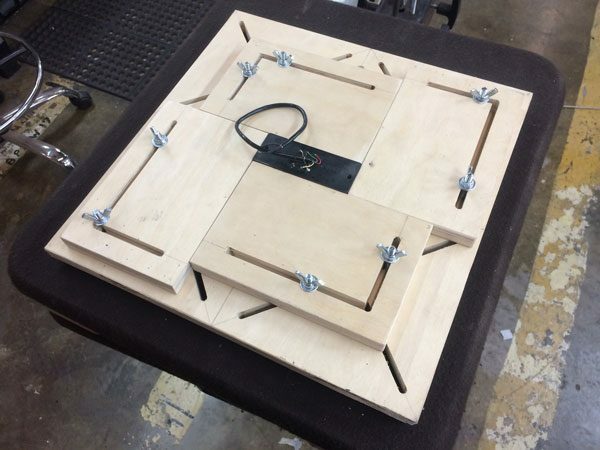 However, we often have to engage in routing pickup cavities in order to make them fit. 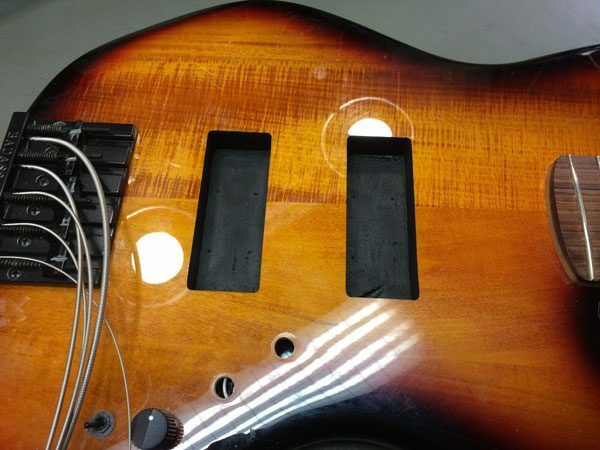 Depending on what you want to install, some routing may be required to get the new pickups to fit into your instrument. 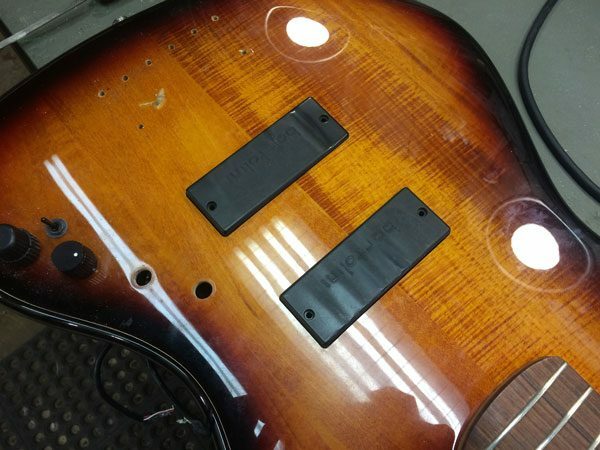 In this case we were asked to install a set of Bartolini Soapbar humbuckers into a Fender Jazz Bass which had been routed at the factory for stock single coil pickups. 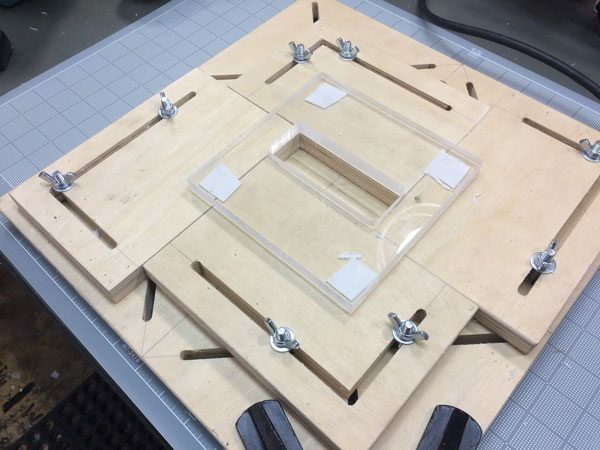 Not only would we have to modify the pickup cavities themselves, but we didn’t have a routing template for the particular pickups we were asked to install, so we’d have to make one of those first. 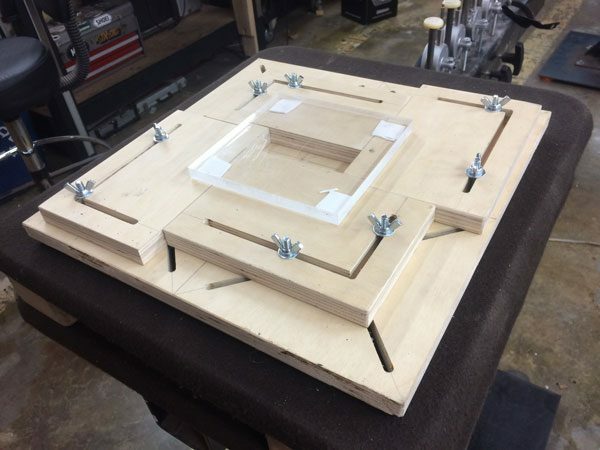 By placing the pickup itself into our custom built template routing fixture (which we designed) and tightening down on all four sides, I’m able to create a routing jig for the plexiglass template. 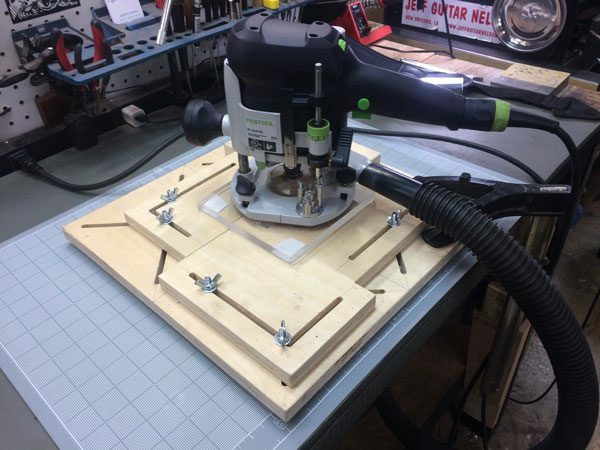 Once the pickup is pulled back out of the fixture I can use a flush-trim router bit to follow the edges of the fixture walls to cut the template material. 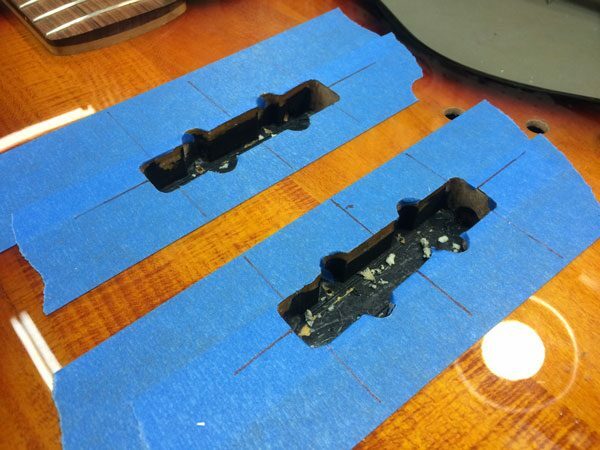 Now that the template is made I remove the strings and the stock pickups and lay out the alignment of the new cavities using a straight edge along both sides of the neck to establish a centerline. I attach the template to the body with strong but removable double sided adhesive. 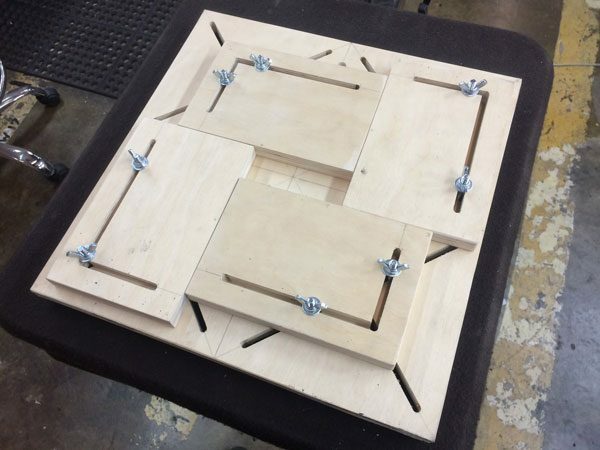 Once it’s secure and right where I want it I can use a follower bit in the router to cut the new cavities. Before installing the pickups I use a electrically conductive paint to shield the cavities from radio frequency interference, which helps to reduce 60-cycle electrical noise. After the paint dries I can install the pickups and wire them in. 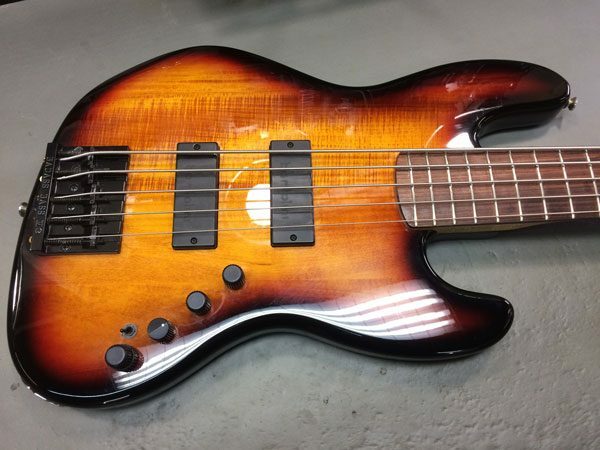 And just like that we have a Jazz bass with Bartolini Soapbar humbuckers that look like they came stock from the factory! Hi, I'm Aaron. I'm a guitar maker and repairman by trade, and a musician and stage guitar tech by night. I began studying luthiery in my early teenage years, and I've been a musician for about as long. Prior to forming a business partnership with Benjamin here in New Orleans, I was a luthier and production manager at Fodera Guitars in Brooklyn, NY. My past work experience also includes San Francisco Guitarworks in San Francisco, CA and Carvin/Kiesel Guitars in San Diego, CA. I have a degree in Recording Arts, and I've spent countless hours in recording studios and out on the road with various bands throughout the years.